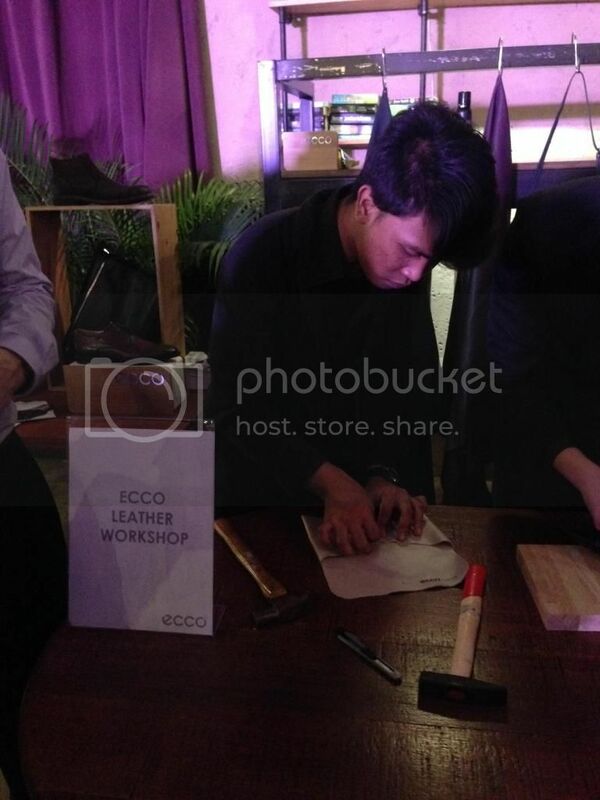 ECCO, a world-leading brand of shoes combining style and comfort, launched the Fall-Winter 2014 collection with premium functional style infused with Scandinavian design, innovation, authenticity and individuality at The Bee, Publika a few weeks ago. The collection showcases a diverse line up of shoes for active people whether their world is professional or casual, high-paced or low key. New shoe shades such as Midnight Blue and Green Gables are lighting up the Fall-Winter 2014 collection other than the traditional autumn shades such as Classic Black, Espresso, Coffee, Red Burgundy and Rust Brown. 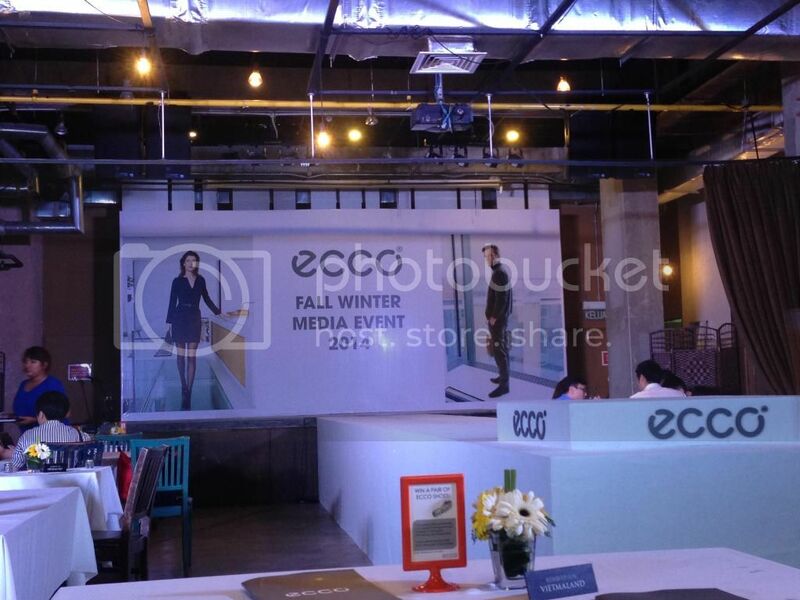 This collection launch was hosted by celebrity emcee, Miss Nadia Heng, Miss World Malaysia 2010 and special appearance by celebrity couple Awal Ashaari and Scha Alyahya decked in ECCO's Fall-Winter 2014 collection added glamour to the setting. The celebrity couple, Miss Scha Alyahya and Mr Awal Ashaari in their ECCO Fall-Winter collection. There was an Instagram contest for the media and the special guests whereby they can win the ECCO new shoes from the latest Fall-Winter collection. 6 lucky winners would walk away with a pair of ECCO shoes! 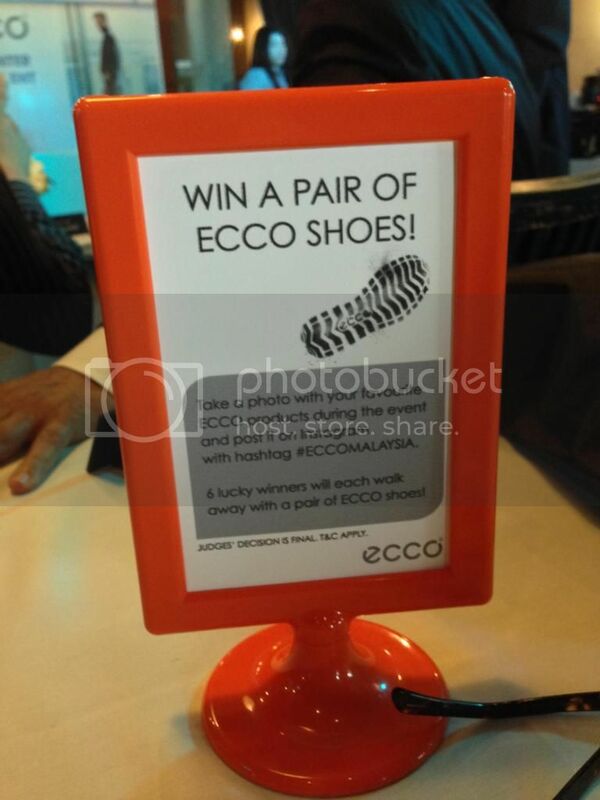 All we had to do were to post photos with our favourite ECCO products during the event and posted them on Instagram with hashtag #ECCOMALAYSIA. 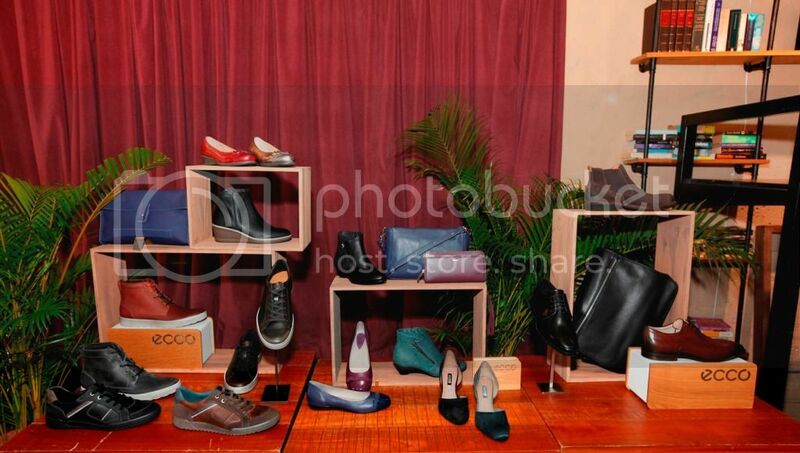 ECCO Fall-Winter 2014 Collection fashion show started off later on with their latest shoes range from ECCO Touch 15 loafer, ECCO CS14 Ladies casual sneaker, ECCO Sculptured 45w, ECCO Findlay and ECCO Cairo. 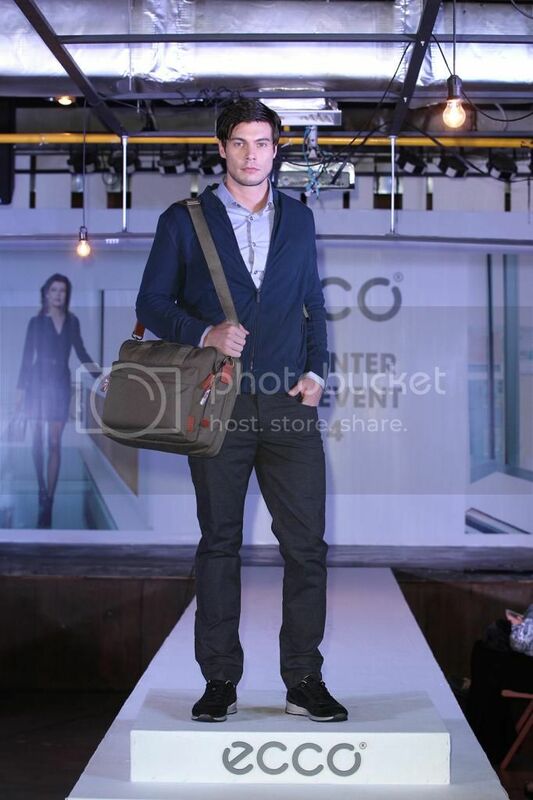 This season's bag collection also featured premium leather from ECCO's tanneries. Bags for ladies include the stylish ECCO Derna Clutch and ECCO Sculptured Shoulder Bag while the men's range includes ECCO Denio Messenger and ECCO Ely Messenger. Winners of the Instagram contest were announced right after the fashion show and guests were guided through a leather workshop teaching everyone on how to self-assemble an ECCO leather pouch. 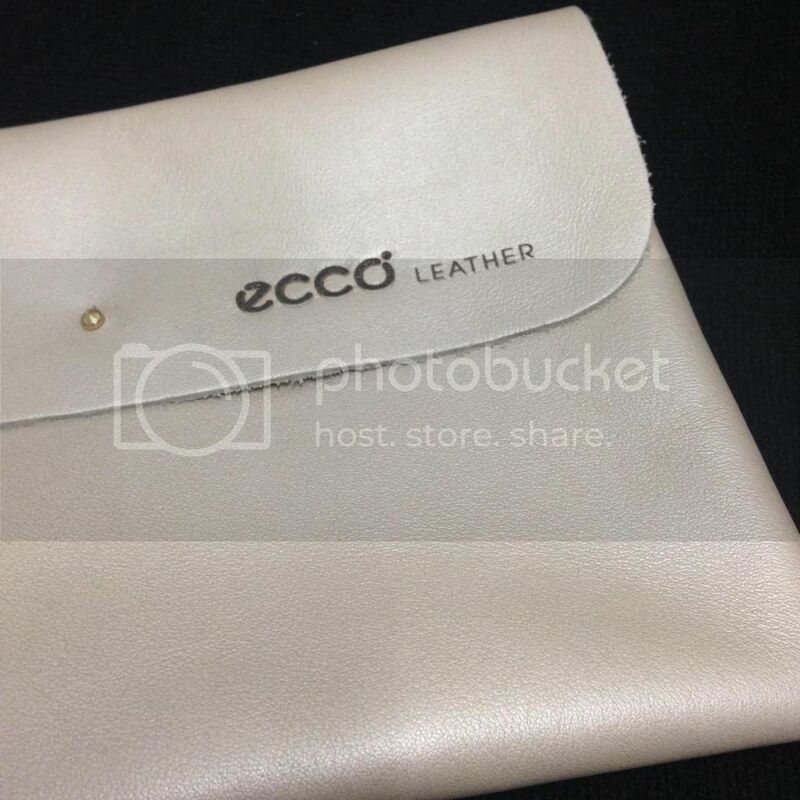 The leather workshop was hosted by ECCO Designer, Ms Solveig Gubser, who also shared insightful information about ECCO leather, Scandinavian design and the latest colors and trends for the Fall-Winter 2014 collection. Lot No.S-226D, 2nd Floor, The Gardens Mall, Midvalley City KL.